Last Thursday almost 200 students, entrepreneurs and start-up mentors gathered to generate and share ideas in the inspirational event “Idea Storm. 100 ideas that could change the world”. The discussions were held on 21 different topics, every discussion was lead by an entrepreneur from particular field. Later on, the best ideas and solutions from every table were presented. 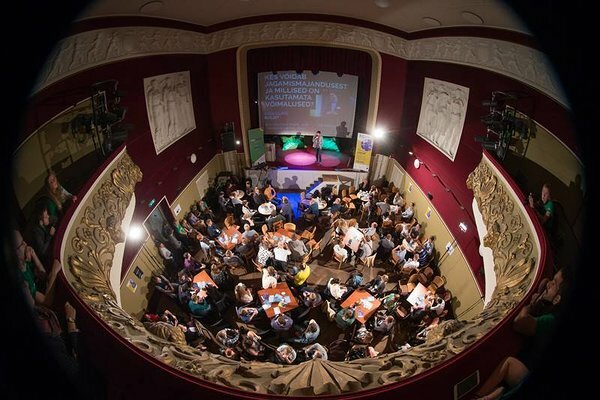 The event began with inspirational stories shared by Rein Lemberpuu – founder Contriber, Startup HUB and Garage48 HUB Tartu – and Sander Gansen – Marketing Manager of Shipitwise start-up. Full of inspiration, participants started generating ideas in discussion tables facilitated by entrepreneurs. Some of the solutions that stood out among others included climate sensitive glasses, usage of bugs in skin care, digital schoolbooks that would replace all the paper schoolbooks and trunkdrive – shipping goods in trunks. Heated discussions were also held on the topics of sharing economy, waste-free world, applications of AI and others. 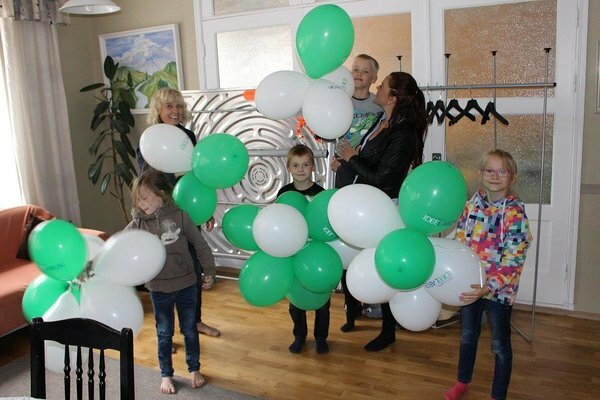 In regard to happiness Idea Storm brought to students, IdeaLab's team also decided to bring piece of happiness children at Tartu Children’s Shelter with huge bunch of green-and-white balloons that decorated the walls at Idea Storm. Idea Storm was the kick-off event for STARTER: a semester long program that consists of interactive seminars and workshops, helping students to turn their ideas into validated business models. The first event of the STARTER “Ideation and Team Building’’ takes place already on 27th September, so don’t miss the chance to meet new people and share even more great ideas! See the full video of the event here! Idea Storm was organised by UT IdeaLab and Ajujaht; funded by the European Social Fund.